Low carb tortilla chips with only 1.8 net carbs per 5 chip serving! Tastes great! Gluten free! These low carb tortilla chips are super easy to make - simply add oil and salt to the mix, roll out and bake! 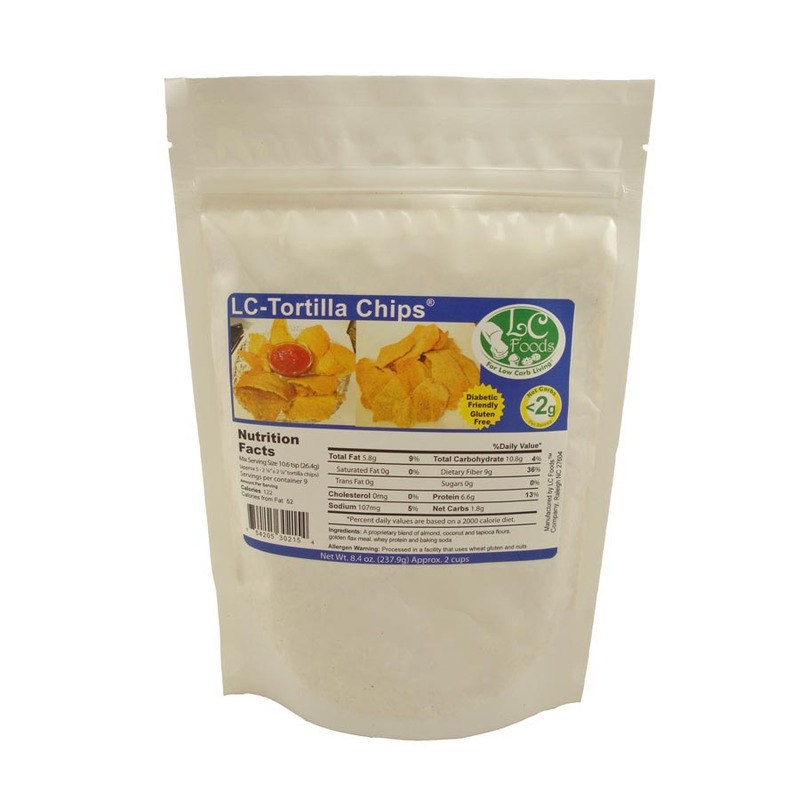 You'll get the best tasting tortilla chips you've had since starting the low carb lifestyle! The whole family will enjoy them with your favorite low carb salsa or dip! How about making some nachos on game day? Serve with our hot and spicy or mild chow chow for a real treat! 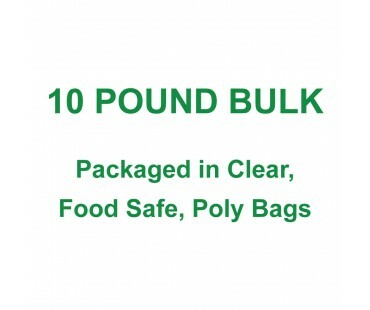 These chips would make a great topping for soups, salads, chilis or casseroles - enjoy your Tex-Mex dishes the low carb way! 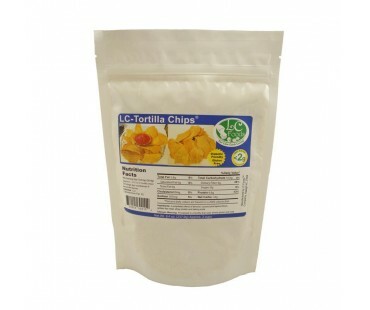 These low carb tortilla chips have a healthy dose of dietary fiber. As with all LC Foods low carb products, there's no sugar added (of course!) and no preservatives! These are... ok. I rolled them out as thinly as I possibly could (putting every ounce of myself into pushing that rolling pin) and baked them for 9 minutes (recipe says 9-11). The edges got quite dark and are somewhat bitter tasting, and the lighter centre is quite mealy. Perhaps to make these more palatable they need something added, like more salt or some spices (or popcorn seasoning that is notoriously low-carb). If I don't improve the taste myself with the next batch I wouldn't order these again. They're ok for crunch factor but that's about it, and now I'm compensating with way too much dip.